After a tough finish to their 2013 campaign to defend their title. 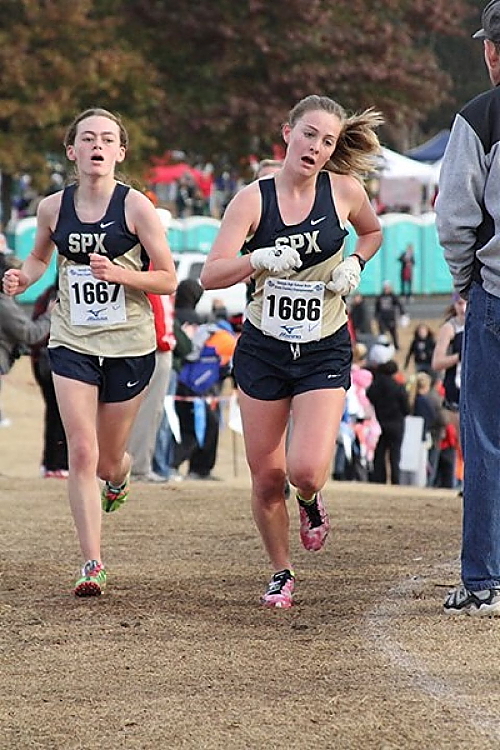 St.Pius is going to be a big factor in 4A this season favored for a return to the Podium. Star runner Margaret Crawford has graduated, but 5 of the top 7 are back giving the Golden Lions ammunition for a run at Marist. Pius X had a great 2014 Outdoor distance season rating 1st ahead of Marist. No doubt everyone will have to take it up a notch, but that's why we run the races...Rebecca Entrekin is the top returner aftter placing 6th at State w/ a pr of 19:18 at Region (Clinton Farms) She also burned down an 11:37 3200 last Spring. Their returning 2-7 runners have a pr Split of :34 which is outstanding. Top runners in that tight bunch are Rachel Pyden, Emma Jayne Braxton, Katie Glenn and Lucey O'Brien.